Health is wealth...so keep it well! Cebu hospitals directory are readily available especially when you are in Metro Cebu or Mactan Island. Many of these hospitals are attached to their own universities or educational institutions where their medical, nursing, midwifery, and other medical students can practice what they’ve learned in school. Among the many provinces in the Philippines, Cebu is one of them that has popular and nationally known hospitals because of their expertise and knowledge about medicine and total healthcare in general. So, when you’re on the island, in case of emergencies or other minor health reasons, you may check out Cebu hospitals directory below. Some of the hospitals listed are accredited by PhilHealth. It simply means that they passed some tests that make them more reliable and very able to cure and take care of patients. The first two or three listed below are one of the bests in town. 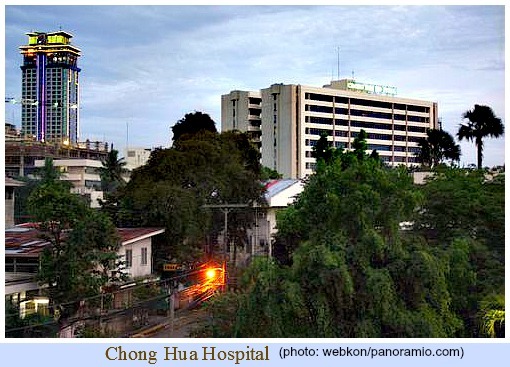 Cebu Velez Hospital is the training hospital of Cebu Institute of Medicine (CIM). This PhilHealth accredited hospital includes in its hospital compound Gullas College of Medicine, University of the Visayas College of Nursing, Gullas College of Dentistry, Tan Kim Ching Cancer Center, and Cosmetic Surgery Center. Maximo V. Patalinhug Jr. Avenue, Basak, Lapu-Lapu City, Cebu, Philippines? Although we seek to provide the most updated and correct information in Cebu hospitals directory, some errors or misinformation might have been included in the directory. Just in case it happens, please double check the information and verify the accuracy from other sources. Otherwise, the directory is valid and up-to-date since it's well-researched. Now, keep safe always as you travel then. “Health is wealth”, as we say.